This is a summary only. A revised proposal is in preparation by AMSI. 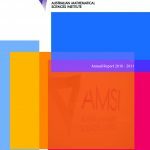 Mathematical sciences institutes and centres have become internationally recognised as an effective means of providing the infrastructure for both discipline-based and cross-disciplinary research essential for innovation and training across many areas. An accompanying document draws on examples from other nations that illustrate the programs and contributions that collaborative centres can make.